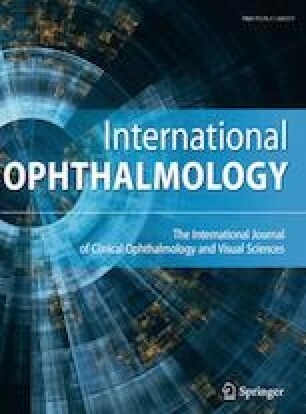 We evaluated a new concept for treating pupillary capture of the intraocular lens (IOL) following intrascleral fixation of the IOL. Pupillary capture of the IOL is a common postoperative complication that occurs after suturing and intrascleral fixation of the IOL. In such cases, blunt trauma is often related to zonular dialysis, iris retraction, iridodonesis, and angle recession. Several methods such as barricading by suturing, pupilloplasty, and pars plana fixation are reported to prevent pupillary capture. Although effective, none of these techniques fix iris-malposition and angle recession. We considered that repairing angle recession could correct the iris position and prevent pupillary capture recurrence. We repaired angle recession in four cases and have followed up. Pupillary capture was not observed in all three cases of larger IOLs for more than 9 months, but observed after 1 month in an IOL with normal 6 mm diameter, in which the angle was not properly lifted. In select cases, repairing angle recession may be useful for preventing pupillary capture after IOL suturing and intrascleral fixation. Meeting presentation: The 71st annual congress of Japan Clinical Ophthalmology, Tokyo, Japan, October 2017. The online version of this article ( https://doi.org/10.1007/s10792-018-0911-5) contains supplementary material, which is available to authorized users. The studies have been approved by the institutional ethics committee and have been performed in accordance with the ethical standards as laid down in the 1964 Declaration of Helsinki and its later amendments or comparable ethical standards. Patients have consented to the usage of pictures and videos in this paper and the publication of the case reports to the journal. M. Akimoto is a consultant at Kowa Co. Ltd. No conflicting relationship exists for any other author.